Whether you’ve just come back from an intimate destination wedding or were married by the justice of the peace because of busy schedules, a baby, or military service, your vow renewal vows are every bit as special and as your original vows. 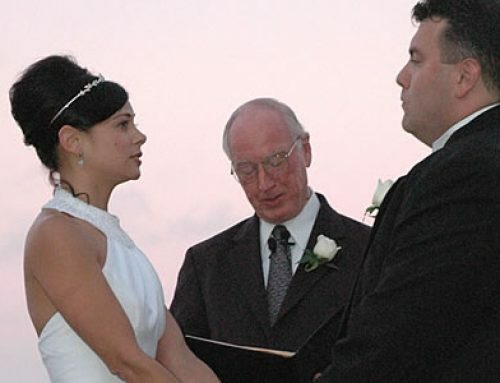 If you do not want to repeat your original vows, here are sample vows that you can use. With great joy I pledged my love and commitment to you on our wedding day. But a loving relationship does not exist in a vacuum. Our family and friends first showed us how to love, helped us grow, and supported us when we found each other. I hope they will continue to love and support us as we love and support them. Therefore, I am delighted today, in the presence of these witnesses, to reaffirm my commitment to you, and once again, to promise to love you, honor you, and comfort you, in sickness and in health, for richer, for poorer, for better and for worse, as long as we both shall live.